Marshall Ballew is a singer/ songwriter, multi – instrumentalist, instructor, and music historian whose Appalachian roots laid the groundwork for his lifelong love of music in all its various forms and ages. Surrounded in his youth in the North Carolina mountains by the sounds of folk, old – time, and bluegrass, he took up the guitar at age 14 and began a stringman’s journey that would lead to study of the banjo, fiddle, dobro, Hawaiian guitar, tiple, oud, and bouzouki. Through the years, he has played with a variety of groups, including Radiation Blues Banned, The Timber Rattlers, Happenstance, Dread – I Knights, and the Marshall Ballew Band. 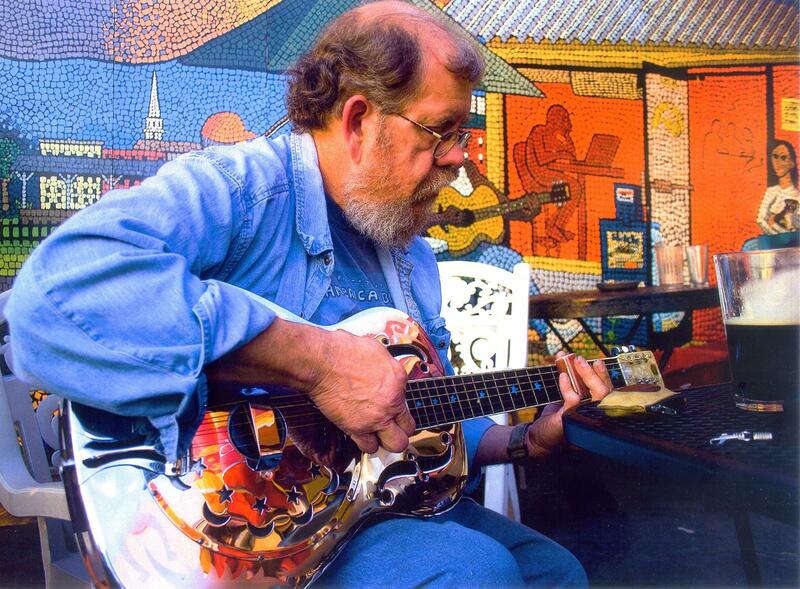 His dobro and Hawaiian guitar work can be heard on recordings by Christine Kane, David Childers, Chris Rosser, Hot Guitar, Mama Said, and The Gospel Playboys. He has recorded live with Radiation Blues Banned, and his songs appear on several compilations, including two of WNCW’s “Crowd Around The Mic” series of on – air performances. When Frank Zappa died in 1993, Marshall conceptualized and hosted the first Frank on Friday. Marshall rejoins WNCW as the host of Frank on Friday in 2016.